Happy New Year everyone! Have you made your list of 2016 New Year’s Resolutions yet? With this Christmas and New Year Holiday season drawing to a close, the time has come to start turning from the joy of the season to contemplating the realities and challenges of 2016. And one of the ways American’s make this transition is the annual Tradition of New Year’s Resolutions. This writer suggests that our politicians betrayals of the best interests of rank and file Americans and erosions of our Constitution and Constitutional rights in 2015 behoove each of us make at least one 2016 New Year’s resolution to address this intolerable situation. 2015 saw the rank and file membership of both the Democrat and Republican parties beginning to come to grips with their betrayal by the Establishment of their respective political parties. In 2015, Americans Built on their distrust of government precipitated by the 2014 exposure of Progressive Government’s asserted right to” lie to the masses because the masses are allegedly too stupid to know what’s best with them”, when Progressive Professor Jonathan Gruber was caught on video. In 2015, rank and file members of both major parties became more aware of and tuned into their respective party’s departure from the party platform. Obamacare was found to not be what was promised*. Our government failed to secure our borders and let unknown numbers of terrorists into the country. Our politicians accelerated their abdication of power to the United Nations. Establishment Republicans joined with Establishment Democrats in selling the America Middle Class worker down the river; ObamaTrade aka Trans Pacific Partnership (TPP) exports yet more American jobs out of our country and is the next step in the Progressive Tyrant Class’s march towards a new world order. Establishment Politicians moved further towards their ultimate goal of making every rank and file individual’s unalienable Natural Rights subordinate to the will of Progressive Government Educated Elites. In a first step toward limiting Free Speech, our 1 Progressive Tyrant Class Establishment pretending to be 2 major political parties, initiated steps to transfer control of the Internet out of our country. 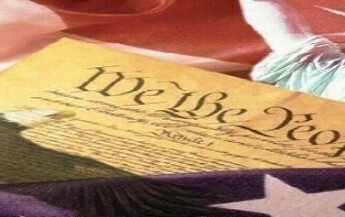 The bipartisan agreement on these evidencing the fact that both Establishment Republicans and Establishment Democrats are implementing a fundamental transformation of America, contrary to the content of the Declaration of Independence and the Constitution and the vision the Founding Fathers had for America. Parents, this writer suggests a resolution committing to 5 hours a month of politics and government involvement to secure the future of your children. Perhaps as a way to help hold yourselves accountable, you can give the gift certificates suggested at the bottom of this article, “Gift ideas for American Patriots” to your children as birthday and/or graduation gifts or belated Christmas gifts? Resolve not prioritize your own personal comfort over the liberty and finances of future generations. Our Politicians have buying our votes on the backs of future generations of Americans. In addition, our government engages in unlawful and unconstitutional Progressive Conditioning and COINTELPRO operations against those who openly protest and oppose them. It is selfish and lacking in foresight for today’s rank and file American’s to trade future of succeeding generations for their own personal comfort. Such an attitude and philosophy will ensure that tyranny eventually secures its stranglehold on future generations of Americans. Resolve to not vote for any politician who does not denounce the Progressive belief that Government Educated Elites have the “right to lie to the masses because the masses are too stupid to know what’s best for them”. Make them put their unequivocal denunciation of this repugnant asserting in writing. Resolve to not vote for any politician who believes they and/or any other elected and/or government official are superior to the rest of us. Behind closed doors, this writer has been told “the masses don’t matter” and “the masses don’t care”. Politicians and Government officials cite their superiority to rank and file Americans with circular logic. First, these Politicians and Government officials assure you that you can trust them. Having convinced the masses they can trusted, these Politicians and Government officials then lie to the masses. The Politicians and Government officials then cite the masses’ gullibility in believing their lies as evidence of their superiority to the masses. Therefore, this writer suggests you RESOLVE to no longer be duped into believing their lies. Resolve to not vote for any politician, nor support any government official, that supports any portion of the Pro-New World Order Progressive Agenda. The Progressive Agenda includes, but is not limited to: Common Core, Trans Pacific Partnership (aka ObamaTrade), Agenda 21, Eugenics, Open Borders, unbridled immigration, Net Neutrality, transferring control of the Internet outside of the US, Keynesian Economics, less transparency and accountability of government and government officials, making an individual’s Natural and Constitutional Rights subordinate to the will of government educated elites, creating two classes of Americans and asserting government’s right to lie to the masses because the masses are too stupid to know what best for them, and dismantling the US Constitution. Resolve to ask the following 5 questions of your government officials if you want to return to the days when one person working 40 hours a week could support a family of 4 or 5. Please ask each of your US Senators and US Representatives these six questions and demand a written, understandable, non-evasive answer to each question: Ask them: * Why do WE THE PEOPLE pay interest to the privately owned Federal Reserve Banking System to get back our money that only Congress has the Constitutional authority to print? Resolve to read and study the Declaration of Independence. This writer hopes that you will find one or more of these proposed 2016 New Year’s Resolutions worthy of including in your own personal list of 2016 New Year’s Resolutions.